The vacant look is particularly appropriate. This particular fashion accessory is available from this thoughtful enterprise. 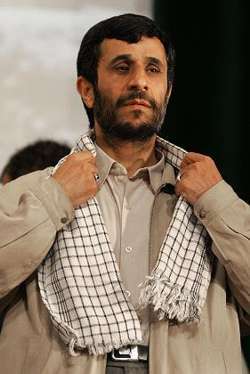 The scarf is named after one of recent history's most notorious terrorists. Lovely. Ark apparently has ties to Urban Outfitters. Of course they have a long history of this kind of thing, so I suppose we shouldn't be surprised. Maybe we should pass a law - something like, Contributing to the Idiocy of a Young Adult. Come to think of it, the law probably shouldn't be limited to les jeunes.